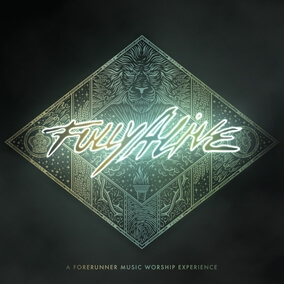 Today marks the release of Fully Alive, a new multi-artist album from Forerunner Music, the official record label of the International House of Prayer of Kansas City (IHOPKC). Fully Alive was born out of the collaborative efforts of the night-and-day IHOPKC community of worship leaders, musicians, singers and songwriters who gathered together earlier this year as part of a series of Forerunner songwriting camps. Every song was written and recorded in an atmosphere of prayer resulting in an extension and expression of hearts coming together to magnify Jesus. “The concept behind Fully Alive,” shares worship leader Jonas Park, “was to capture the atmosphere of prayer we experienced as we came together during our songwriting camps. From writing to production, our heart was to bless God by creating together as a family. Something powerful happens when His people come together to worship.” Fully Alive is now available on iTunes and MultiTracks.com. Check out the entire album today and introduce these new songs to your own congregations.